I’ve had better ideas…but I’ve also had waaaay worse ones. 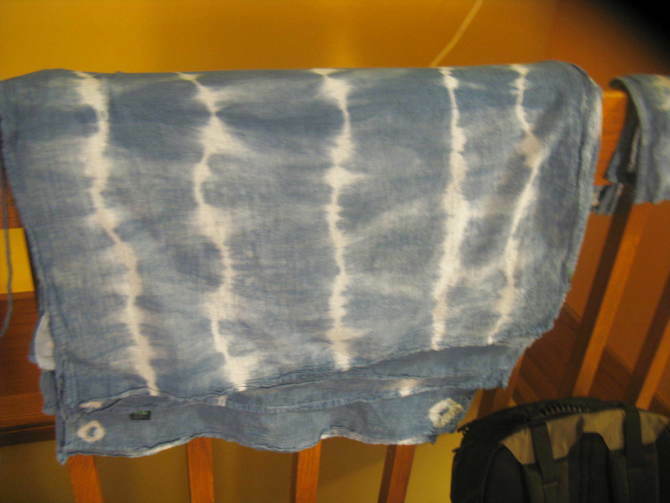 * My big idea: Dye with indigo in my house. I’ll just say this part again: In my house. 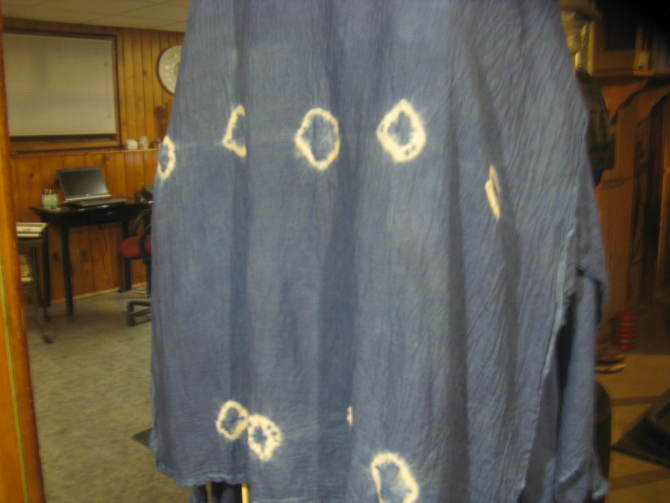 If you’ve never dyed with indigo, you may not know that it stinks like WHOA! 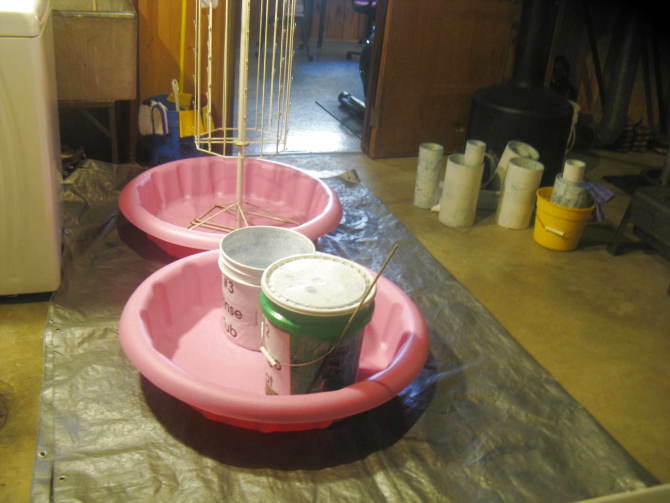 Way back in the day, dyers used yeast and fermented urine to get the dye to affix to the fabric. I don’t, by the way. But I do use chemicals that smell like ammonia (the secret sauce in the fermented urine of old). Dyeing outside it not really an option right now. Indigo likes to be warm. 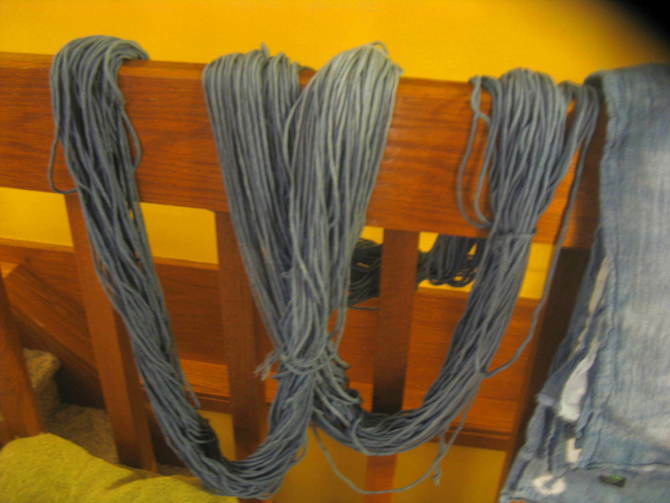 It doesn’t require boiling like most natural dyes but It does not like to be cold. Neither do I. Wisconsin in November: Cold. So is December, January, February, most, if not all, of March and much of April. That gives me a veeeerrrrrry long wait before I get to play with indigo outdoors again. So, I decided to brave the mess and stench. To conquer the mess I bought two kiddie pools. Finding kiddie pools in Wisconsin was an adventure of it’s own. There was nothing available locally (Wisconsin in November, need I say more?) The first ones I found online were about $10 plus $80 shipping. If I’m being honest, this whack-a-doodle pricing was a big motivator for me and may well be the reason I went past the “just wondering” phase of this idea. $90 for two kiddie pools? Ahahahahahahahahaha! I can do better! This required much googling, which I love doing. I did finally find some reasonably priced options. Thank you Toys R Us and the fact that you ship everything everywhere everyday anyway. Buying those pools meant I was committed; see how the falling down the rabbit hole works? Also to tame the mess, a tarp. The tarp doesn’t really have a good back story…it’s just a tarp. Eventually, I added a couple of towels around the edges to wipe my shoes on before leaving tarp-landia. Totally worked. The indigo was very happy in the house. 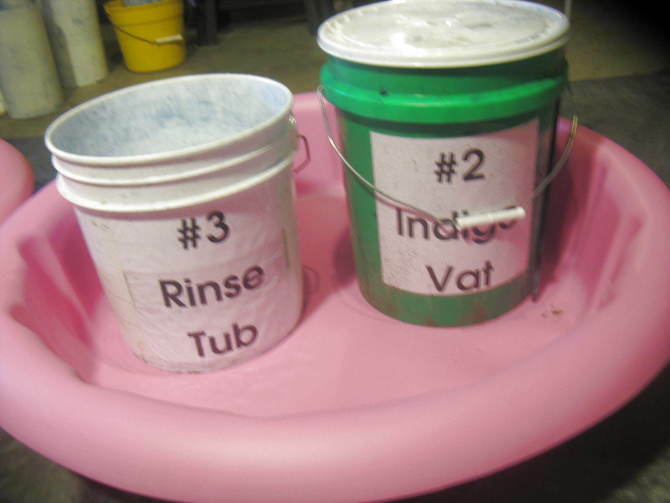 The vats woke up easily and dyed the fabric really nicely. 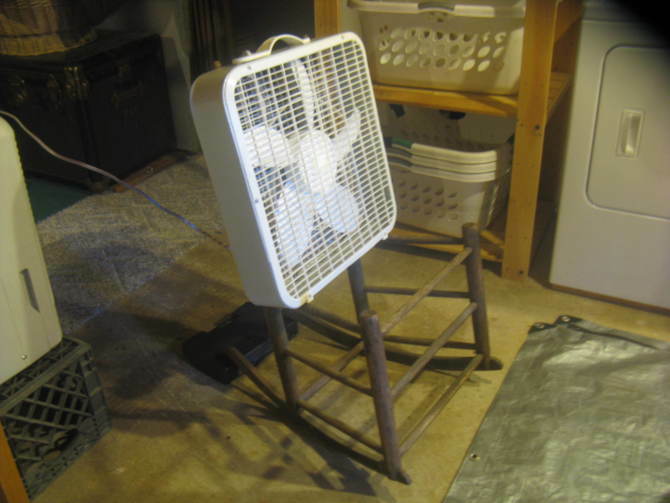 But the stink…I had a fan blowing and the door to the outside opened but THE STINK!!! Because of the stink, t’s not something I would do again real soon but I’m pretty sure I’ll change my mind before April. Spring is soooooooooo far away. * I am thankful everyday that there was no Facebook when I was in my early 20’s.